Ruma specialises in designing contemporary and chic home furniture that ideally represents the urban, modern and cosmopolitan flavours so desired by – but have been beyond the reach of – most people. 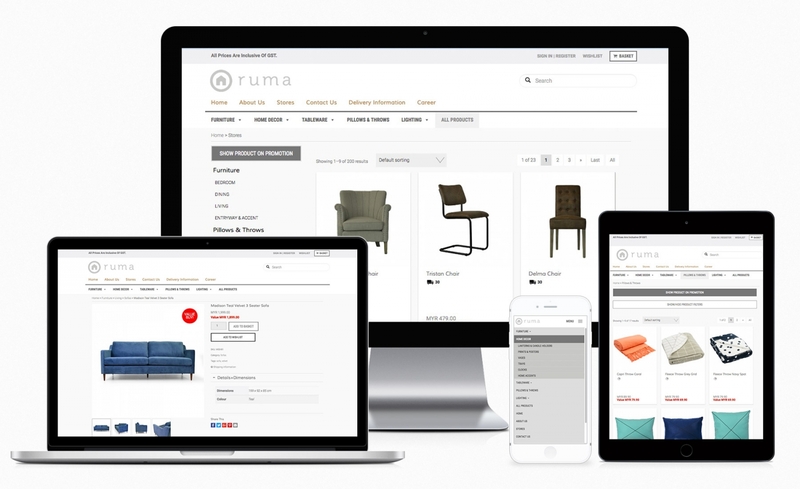 Client would like to have an e-commerce website that able to sell and display their furniture online, and limited shipping by state, country and by items. With various of product options, sales price and discount coupon features etc. Online shopping/e-commerce platform with content management system, can easily manage the product/content/promotion from backend without advance programming knowledge.